This impressive ranch-style new home offers a formal living room with wet bar, a welcoming great room and a dining nook that flows into a gourmet kitchen with 42" cabinetry, quartz countertops and a wide center island. The home also boasts four bedrooms, including dual master suites—each boasting a spacious walk-in closet and lavish bath. 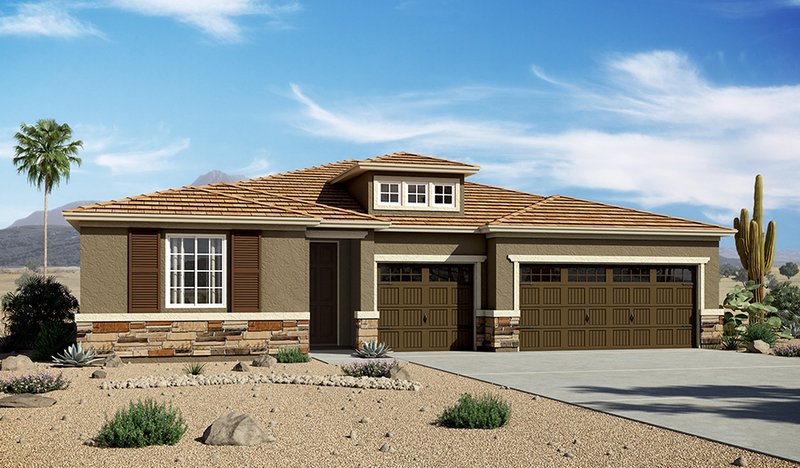 Includes two-tone paint, a paver-stone driveway, a 3-car garage and a relaxing covered patio!